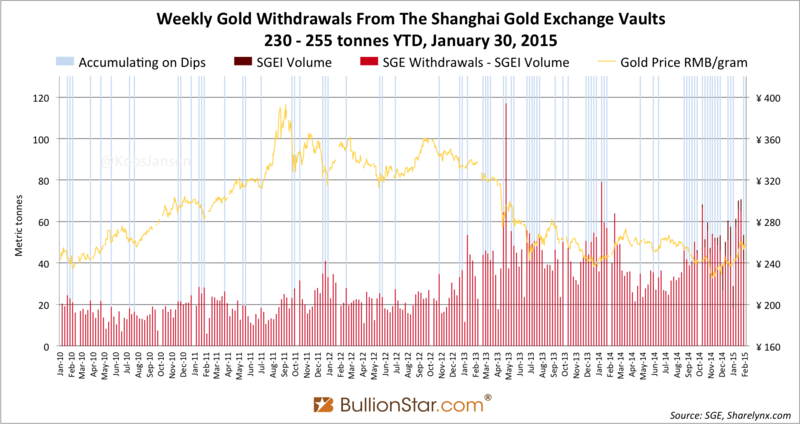 In the last trading week of January another huge quantity of gold left the vaults of the Shanghai Gold Exchange (SGE). 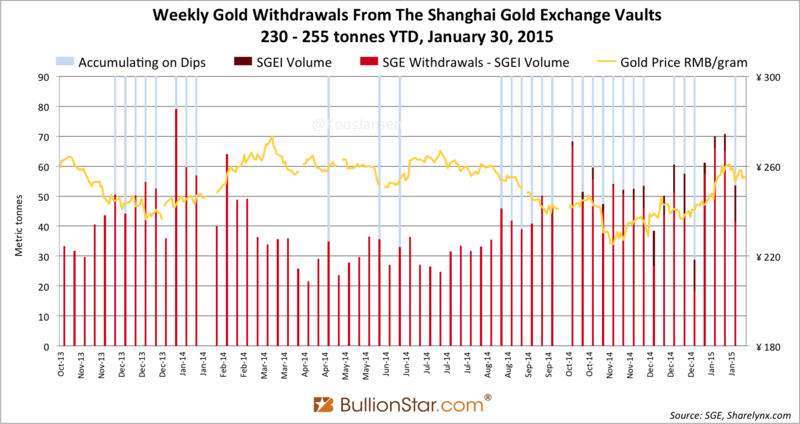 According to the latest SGE data nearly 54 tonnes were withdrawn in week 4 (January 26 – 30), down 24 % w/w. 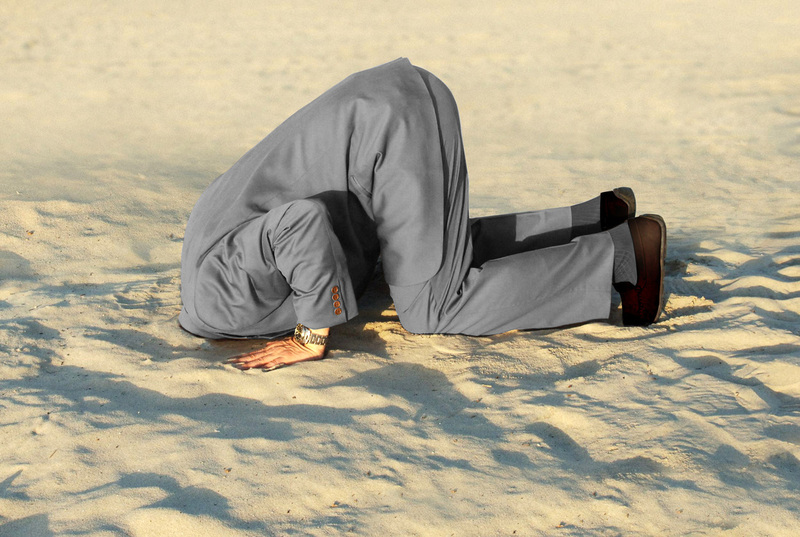 Year to date a staggering 255 tonnes has been withdrawn, up 4 % from the strongest January ever in 2014. 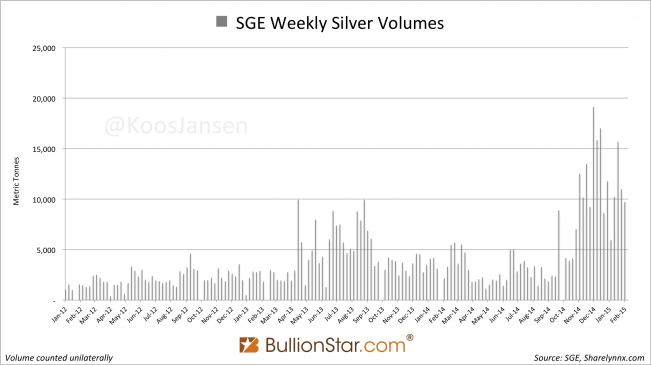 Corrected by the volume traded on the Shanghai International Gold Exchange (SGEI), withdrawals in week 4 were at least 42 tonnes (read this post for a comprehensive explanation of the relationship between SGEI trading volume and withdrawals). Year to date withdrawals corrected by SGEI volume were at least 230 tonnes. 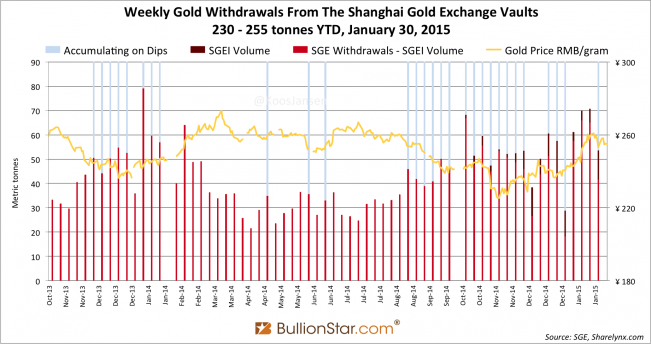 A quick calculation suggests China has imported somewhere in between 175 and 200 tonnes of gold in January. Happy New Year! 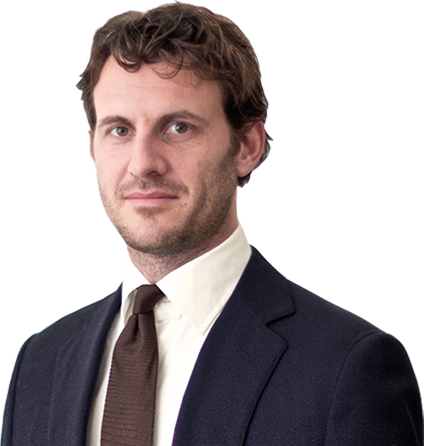 In a recent blog post Thomson Reuters noted banks that enjoy a PBOC gold trade license are obliged to import a minimum amount of gold each year. 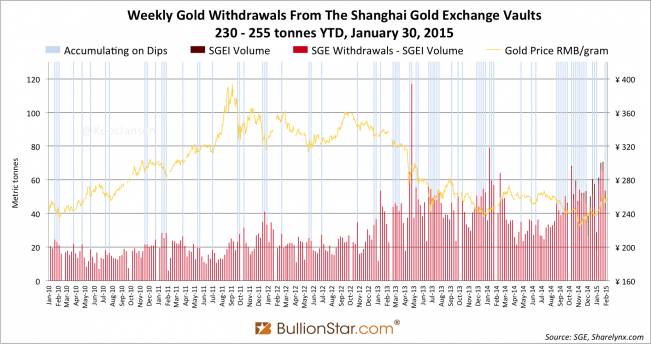 Supposedly this is why Chinese gold import (and SGE withdrawals?) ramped up in the fourth quarter of 2014. 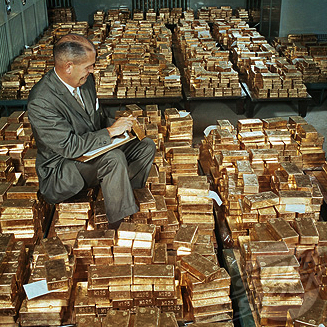 Licensed importers need to import a minimum amount of gold bullion per year to demonstrate to government authorities that they have put their import license to good use. Therefore, after a series of relatively weak import numbers in the second and third quarters, importers had some catching-up to do by the fourth quarter. 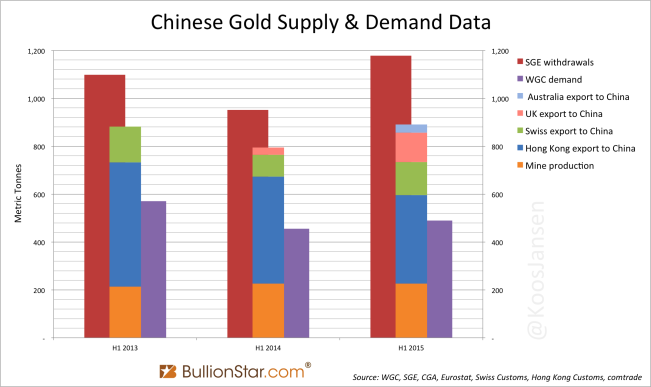 So China imports gold, which is being sold through the SGE and withdrawn from the vaults, though this is not related to any demand? 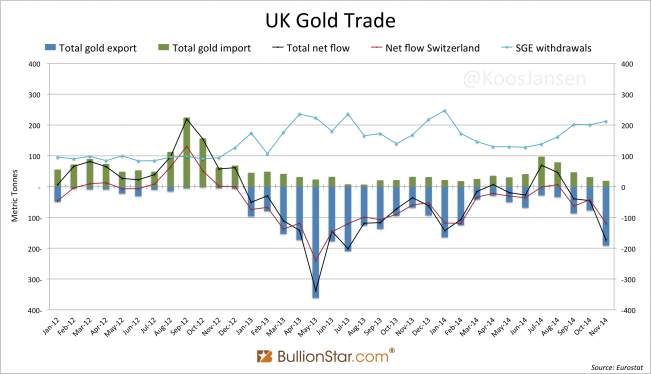 If there would be no demand for the imported gold in China, (i) there would be significant discounts on the SGE relative to London, (ii) Importing/consignment banks would suffer enormous losses. Doesn’t make sense to me. 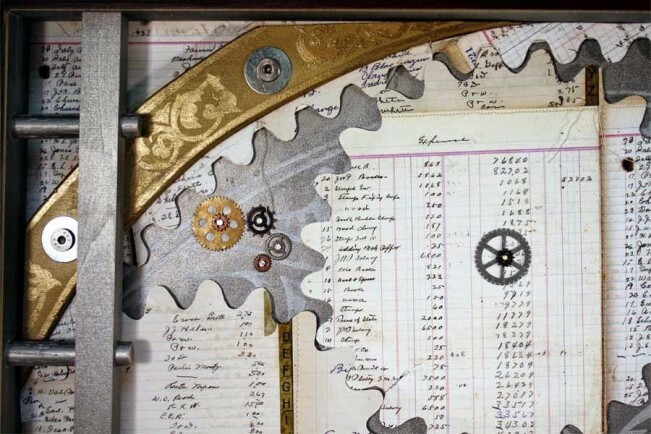 For the purpose of diversifying trading products for international members and customers, the Shanghai Gold Exchange (“The Exchange”) is going to open the trading access of Ag(T+D) contracts to international members and customers. 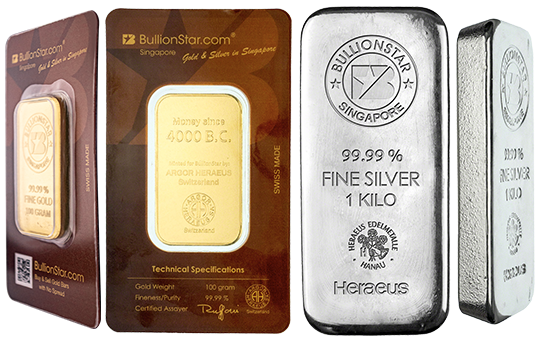 From February 2nd, 2015, all international members and customers are allowed to participate in the Ag(T+D) trading, including opening long or short positions and closing out long or short positions; and yet delivery tendering, delivery equalizer tendering, or load-in and load-out of physical silver bullions are not allowed. 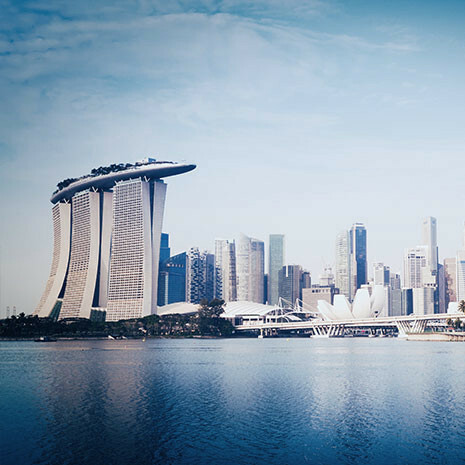 The trading margins and transaction fees for international members are consistent with domestic members and customers. The position limits of Ag (T+D) for international members and customers are also in line with domestic members and customers. 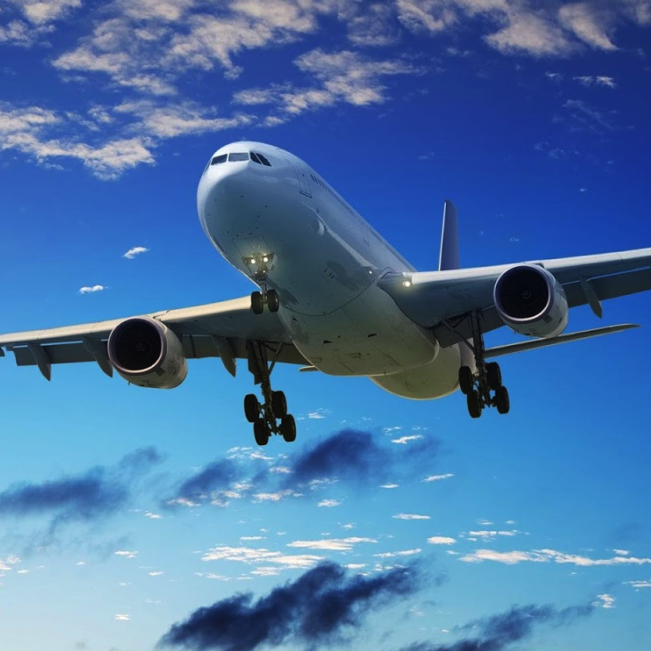 International members and customers may apply to SGEI for adjustment of position limits as per their business needs. 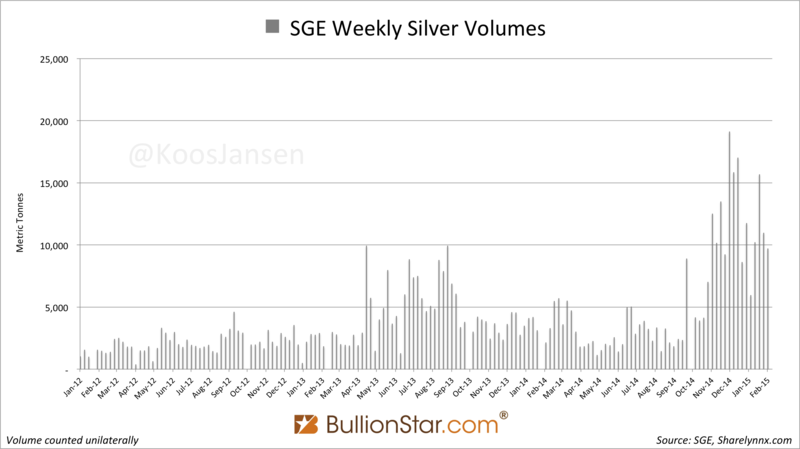 Likely not many foreign traders have jumped in as of yet, total weekly silver volume in week 5 (January 2 – 6) was 9,704 tonnes, down 11 % w/w. Hard to say what will happen down the line, the internationalization of the SGE since September 2014 hasn’t been successful up until now. This would presumably change if China liberalizes its precious metals export policy, but does it want to? Not in the near future if you’re asking me. 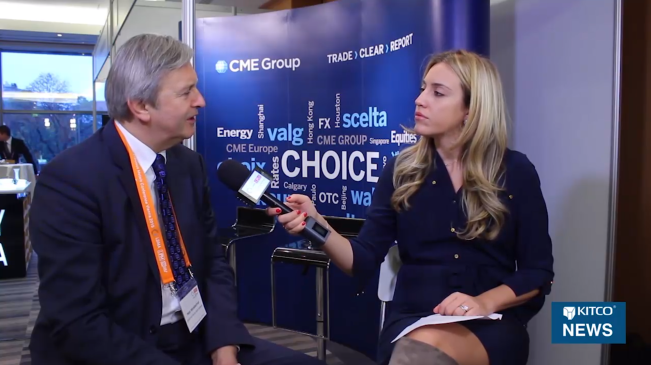 Let’s see what happens next in the global realm of precious metals when Chinese banks will participate in the new London gold fix scheduled in March.